This website is the home base for GratuiTous. I’m a recording artist and music producer based out of Canada. It’s where I share my courses, recommended gear, music, and my opinions regarding music. I have created a membership section on my website giving you unlimited access to my courses on a monthly subscription. I truly love to teach and hope my courses help you excel in this craft of music production. The biggest thing I’d like to get across to you is being yourself. In this audio industry, if you follow the trends, you may be popular for awhile, but you will fade. If you stay true to who you are, find your own sound, and people like you for you, I’m sure you’ll have a very long-lasting audio career. I produced the tracks Amazing Grace and Surrender on a GRAMMY-Nominated artist’s album. I never thought I’d be an author, but you can view the books I’ve written about music production on Amazon. The membership gives you unlimited access to my premium music production courses; view the membership here. Riley Weller, other known as GratuiTous, is an artist and producer for the name of Jesus. In 2012, he started up the website Beatstruggles.com where he taught thousands of producers with his 150+ tutorials he released on YouTube. Vendors that were selling sounds on SoundPackFlyer had commercial successes of working with artists and companies like 50 Cent, Snoop Dogg, Mobb Deep, MTV, NBA, Coca Cola, and more! In his later years, GratuiTous decided to focus more on his own business and music. 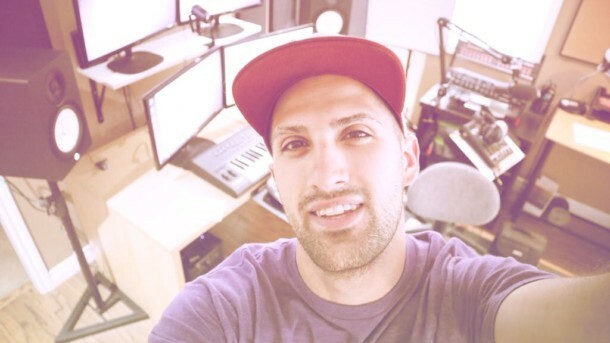 He ended up closing down Beatstruggles.com and SoundPackFlyer.com and started creating music production courses through the membership on this website, offering 1-on-1 online music production lessons via Skype, and continuing to create his music. His music has allowed him to work with a GRAMMY-Nominated artist. GratuiTous didn’t always follow Jesus. It was only after multiple repercussions which broke him down to his lowest point. He stands strong for the name of Christ, seeking to destroy white lies which surround the Christian walk. This especially includes the church, and how they use Scriptures for their wants, rather than what the Scripture is truly saying. Example of a white lie? Pastors preaching and celebrating Christ’s birth date being December 25… No where in the Bible does it state what day, month, or year Jesus was born. Most of the Christmas Story as we know, is full of white lies too. No where does it say there were three wisemen. If you’re new to this information, here’s a question: Why does a Pastor celebrate and preach of Christ’s birth being December 25 even with no mention of this date anywhere in the Bible? – Do these Pastors not read, and only seek Scriptures people want to hear? I’ll leave my answer at money incentives, and those not seeking His Word. The Bible also does not tell us to even celebrate His birth. We worship Christ because of His Sacrifice which forgives our sins. I ask the Lord to reveal to everyone who asks what His Word actually says, rather than the white lies which circulate within the church community.